The management board of the HCM City urban railway projects held a groundbreaking ceremony for the construction of an underground session from Ben Thanh station to the municipal Opera House station of the metro route No. 1 Ben Thanh – Suoi Tien. The Sumitomo Mitsui – Cienco 4 contractor joint venture won the bidding package No. 1a with a bid of VND 4.85 trillion (US$218 million). 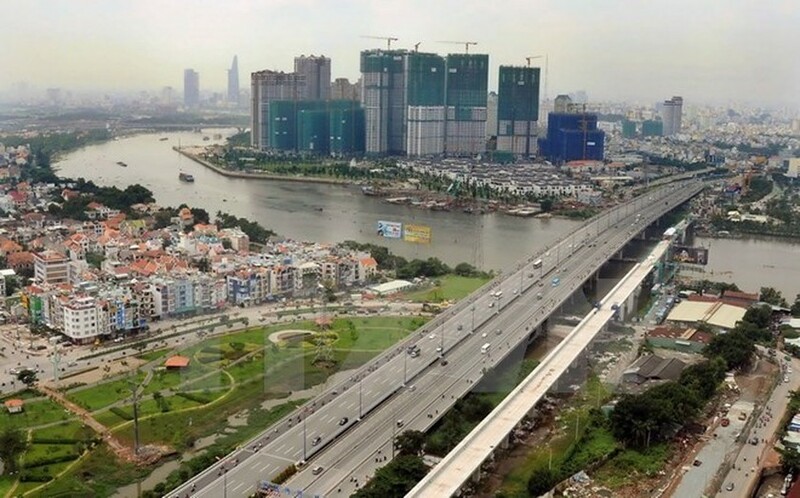 According to Le Nguyen Minh Quang, head of the management board, the package will build the four-basement Ben Thanh central station and a 515m tunnel from Ben Thanh station to the municipal Opera House station under Le Loi Street. It also includes three ventilation towers and six entrances to the Ben Thanh station. Le Van Khoa, Vice Chairman of the HCM City People’s Committee, emphasised the significance of the kicking off of the bidding package No. 1a as it is the last package of the metro route No. 1. Completing the package means the completion of the project to put the whole route into operation by 2020, he said. The metro route No.1 is 19.7km long and has a total investment of $2.49 billion funded by the Japan International Cooperation Agency. Its construction started in August 2012 and packages have been implemented with good quality. The package No. 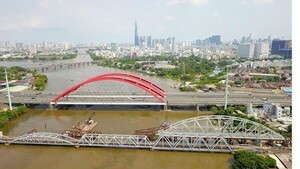 2 constructs 17.1km of overhead facilities, 11 stations and the depot area of Long Binh. About 63 percent of its work amount has been carried out. The package No. 3 focuses on purchasing and installing equipment, wagons, locomotives, track and maintenance, with 11 percent completed, while the package No. 1b builds an underground section from the municipal Operate House to Ba Son, with 38 percent fulfilled.